Grassy pastures stretching to acres of land, the dense forests full of pine trees, with the backdrop of splendid snow capped mountains leave you almost speechless. 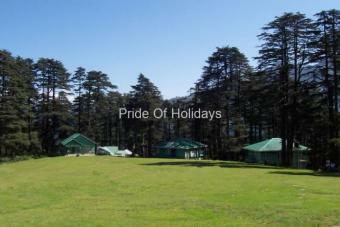 Within commutable distance from Srinagar, the capital of Kashmir, Yusmarg is the perfect place to go for a picnic. It is possible that after reaching this place, you may want to even stay for a few days. 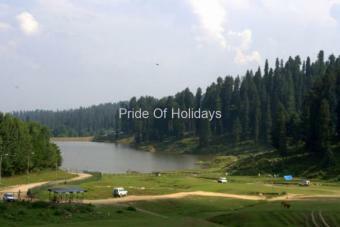 Specially, for the lovers of long walks in picturesque locales, Yusmarg is the place to be. Tourist Attractions A short trek of 4km to Nilnag a small lake amidst pine trees, near a hamlet gives an ultimate pleasure to visitors. A full day trek from Yousmarg to frozen lake in Sang e safed valley 10 km from Yousmarg is quite fascinating one. Most of the portion of the lake is covered under ice throughout the year. Trekkers are advised to carry tents along during the trip as the weather at high altitude changes frequently which can make further journey quite hard. Assistance of a guide is advisable. Tsrar-e-Sharief From political, social and economical upheavals, the Rishis or saints emerged with a sacred thoughts which gave comfort and mitigated the miseries of the people of valley. Nund Reshi was the patron of the Sufism in Kashmir who showed disinterest in worldly matters from childhood and renounced the world at an early age of 12 in search of divinity of God . He was an illiterate Shiekh Noor-ud-Din Noorani RA popular as Nund Reshi or Alamdar-e- Kashmir was born in 1378 AD at Kaimuh a village in Anantnag district. When the people of valley were suffering and yet spontaneously uttered concise and rhythmic verses called ‘Shruks’ which are considered of high value in Kashmiri literature. Trekking in Yousmarg A major trekking route from Yousmarg eads to a famous spot called Tosa Maidan, a large meadow used for cattle grasing by nomads. This area is connected through rough routes to places like Gulmarg and Poonch. The region is full of springs , the one at Khag is most famous for the curative properties. The natural slopes of Yousmarg offer skiing opportunities to experts. School camps and adventure lovers make a week to fortnights stay at Yousmarg for the thrilling trekking routes around.Day treks are mostly commenced by the visitors. Stay in personal tents is recommended for the visitors intending to stay for longer duration. 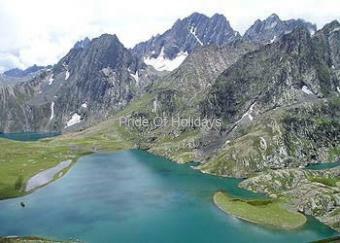 The expeditions to the various peaks in the range can be organized through the reputed Travel Agents in Srinagar. Horse riding in Yousmarg Horse riding in the valley can be great fun, the ponywallas in Yousmarg have quite reasonable charges for a ride compared to other destinations. 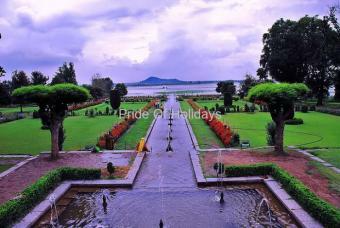 A visit in summer to a place like Yousmarg will positively be cherished by every one in a group. Yousmarg is suitable for young couples, as it is quietest place out of all tourist destinations. Last few years of large tourist inflow into Kashmir valley has seen the diversification of tourism to this wonderful destination. Most of the travel agents include Yousmarg as one day trip in their packages. Where to Eat JKTDC Restaurant near the Cottages offers all type of continental and Indian food for the visitors at economical price. Couple of local dhabas provide snacks ond quick meals during the daytime. It is advisable to carry your own packed food to visit the spot. Where to Stay Since Yousmarg is not so crowded like other tourist destinations, accommodation here is available only at JKTDC Tourist Bungalows & Hutments. 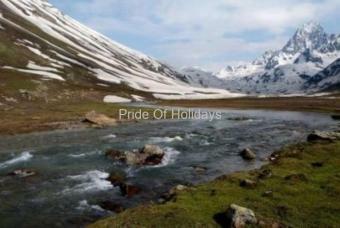 The trekkers are advised to carry tents and other necessary food items for the stay. Travel Agents assistance for organized all inclusive tours is recommended. How to reach Local buses ply only upto Chrair e sharief, tourists are advised to hire a taxi from Srinagar or take the assistance of a travel agent. The road from Tsar e sharief to Yousmarg remains closed during the winters.